I just wanted to write a quick post to say a massive thank you for all your feedback so far on whether to keep the braids or make them into squares. I have also had some great suggestions about trying out different border thicknesses or changing the border to red or grey (advice I’ll definitely take when it comes to framing the central piece). Still undecided, I have spent the last few hours playing with a few more ideas… do you want to see? 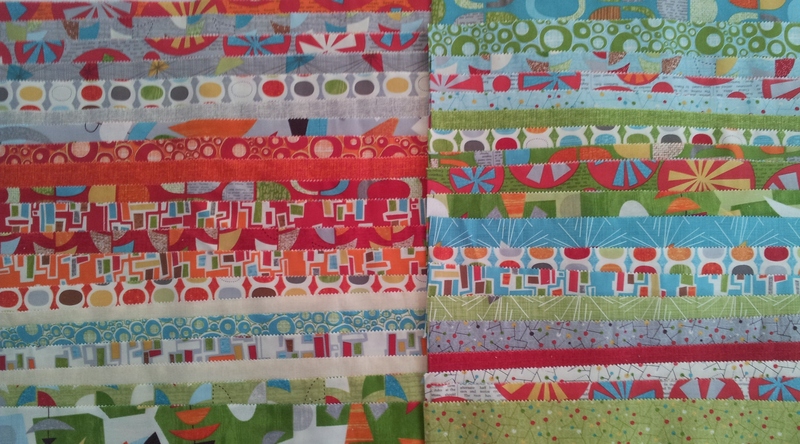 Mod Century Jelly Roll Friendship Braid Quilt – Help needed! I am currently making a Jelly Roll Quilt and need your help! I can’t decide if I should leave my friendship braids in their lengths or chop them up into squares. The quilt is based on The Friendship Braid from Pam and Nicky Lintott’s “Jelly Roll Quilt” book. The Jelly Roll is called “Mod Century” and consists of these fabulous 50s and 60s style fabrics which have been designed by Jenn Ski. As mentioned in my last post, my favourite thing about the Knitting and Stitching Show were the pieces of textile art that were on display. 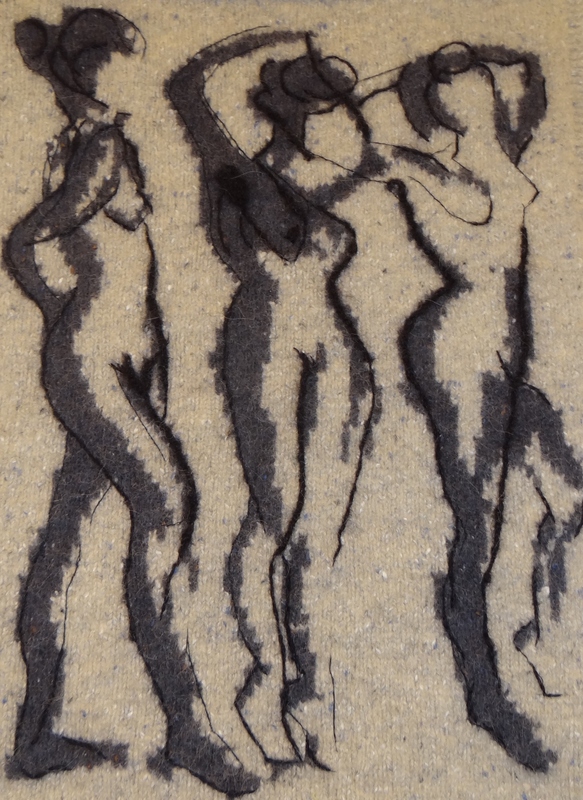 Nicky Barfoot’s knitted nudes were amazing and raised many a smile. The Knitting and Stitching Show at Ally Pally (Alexandra Palace) has been on my “must do” list for quite a while and this year I finally managed to make it! 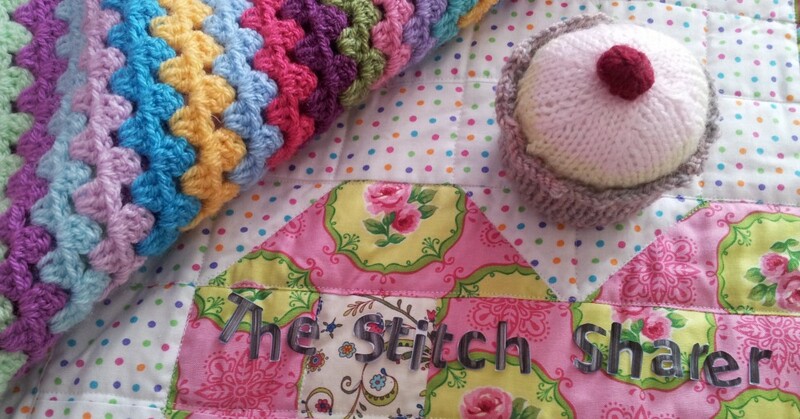 In case you have ever wondering what its like I thought it would be fun to share with you a little about my stitching day out.. 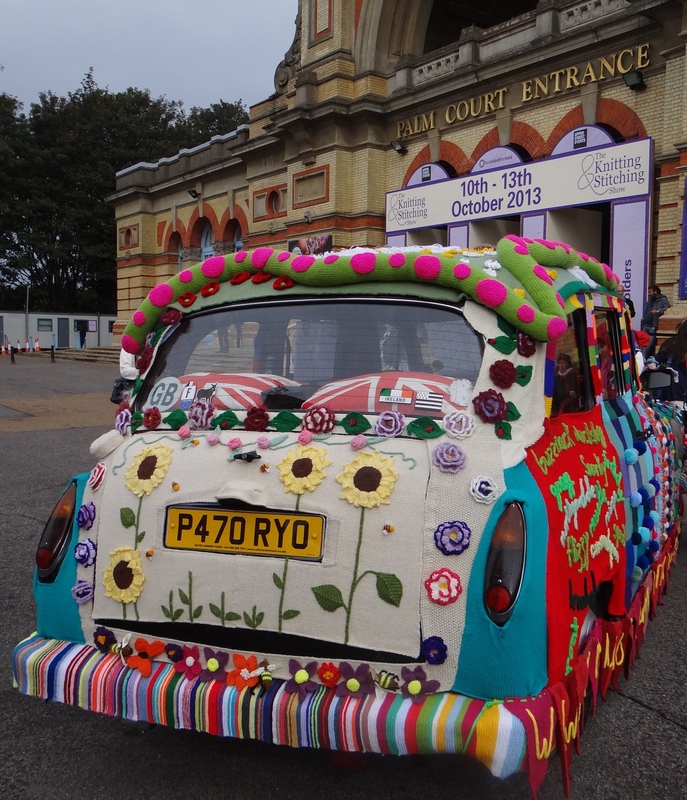 Upon arrival at The Palm Court Entrance I was greeted by this gorgeous yarn bombed car. 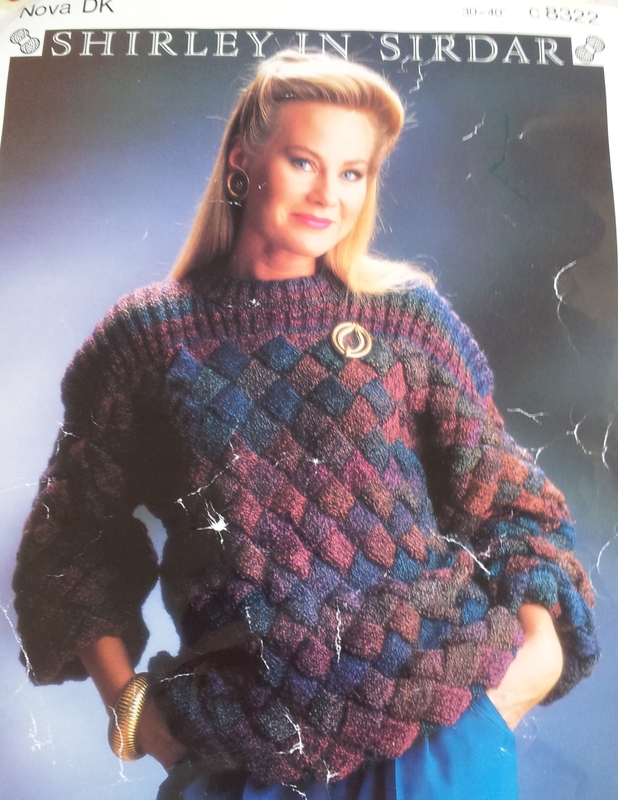 A few months ago, I found a half-finished jumper in my local charity shop along with its pattern, needles and a couple more balls of wool. With the back and front almost complete I hadn’t the heart to unravel someone’s hours of time and effort simply to re-use the yarn – the job had to be finished!